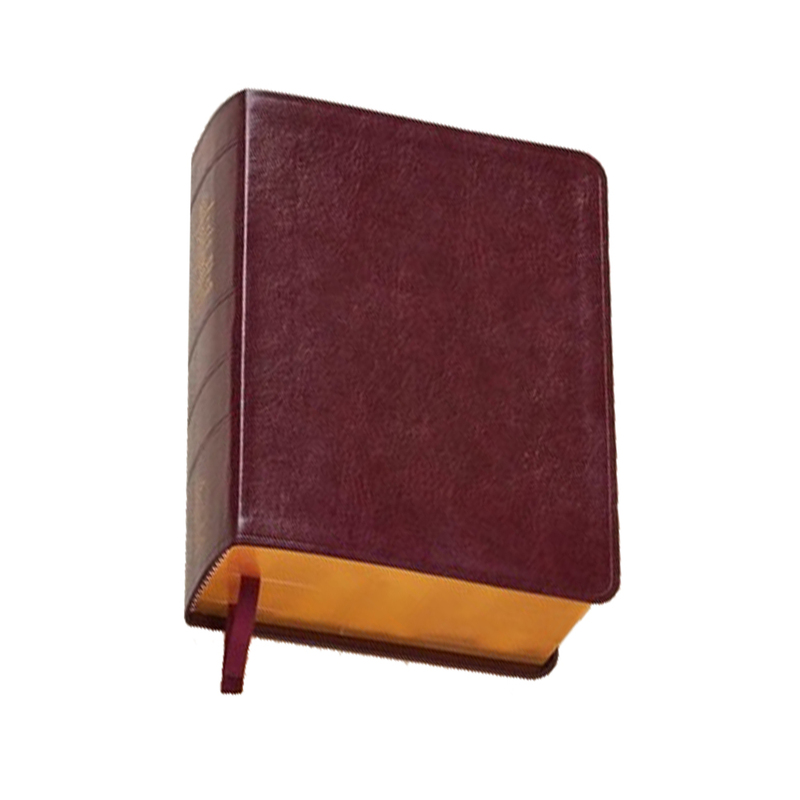 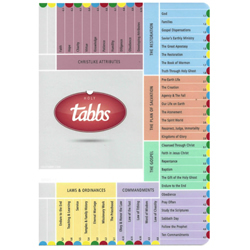 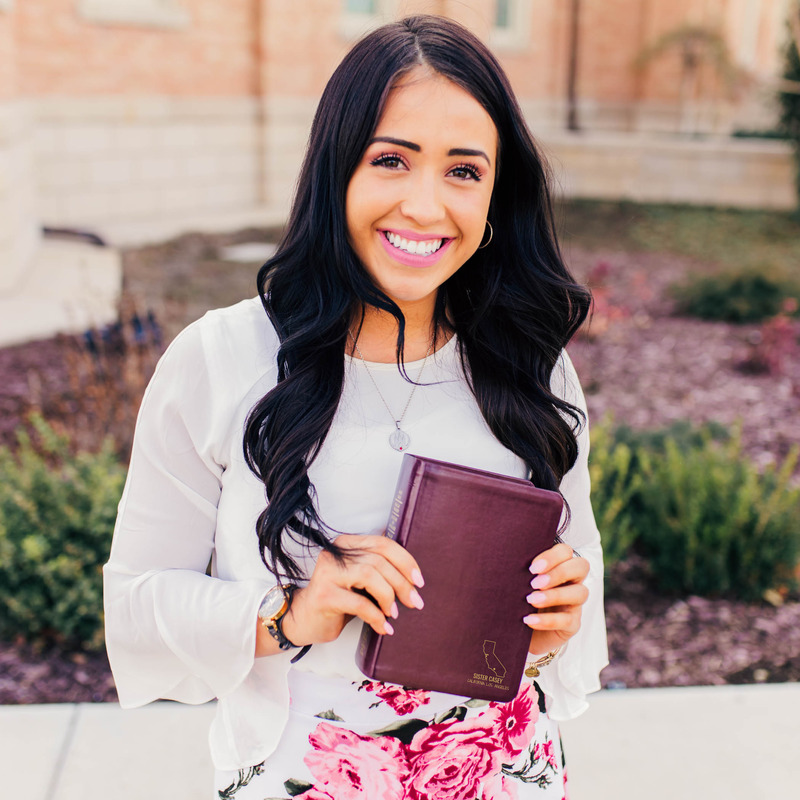 Personalized LDS Scriptures | Missionary Quad w/ Area, Mission Dates & More. 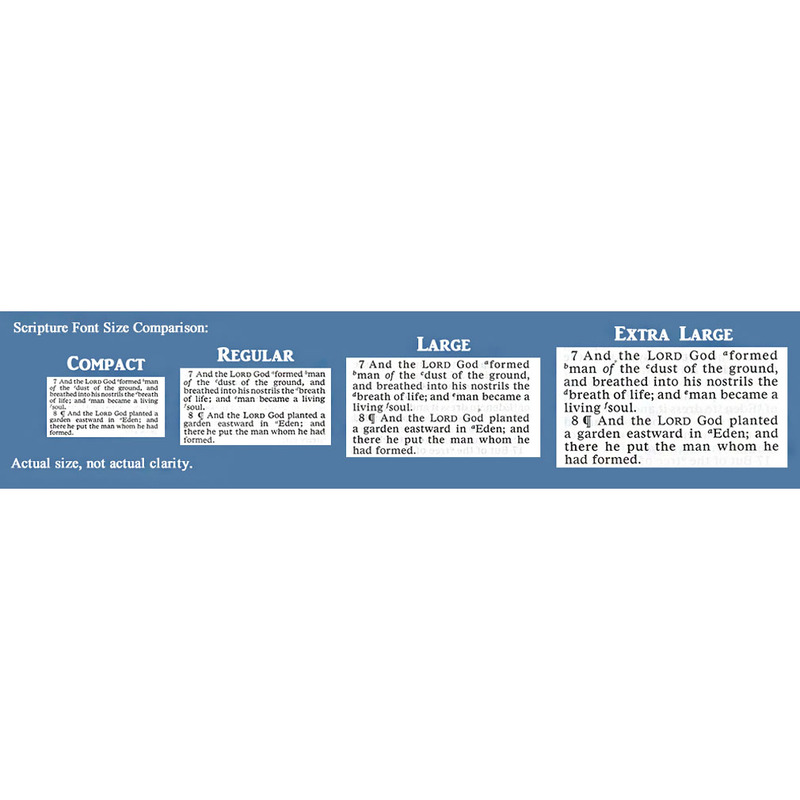 Main Font: View font samples | See where the main font is used. 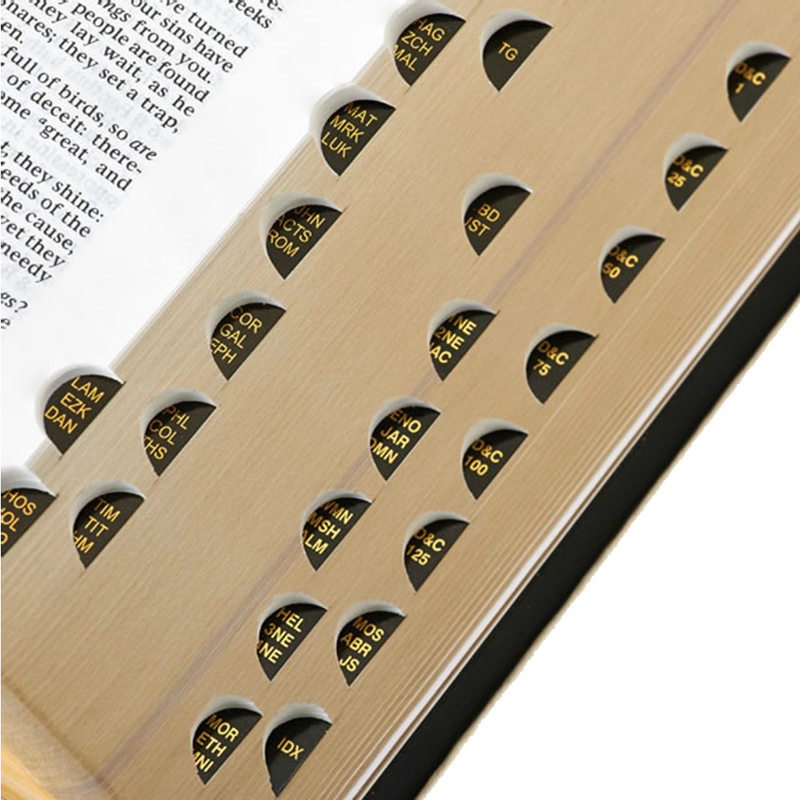 Secondary Font: View font samples | See where the secondary font is used. 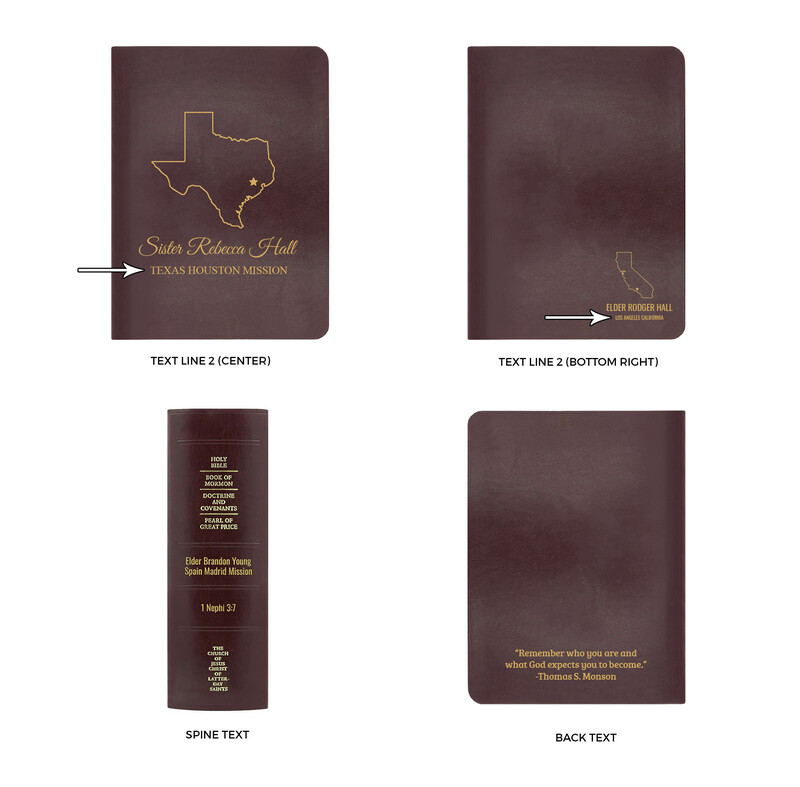 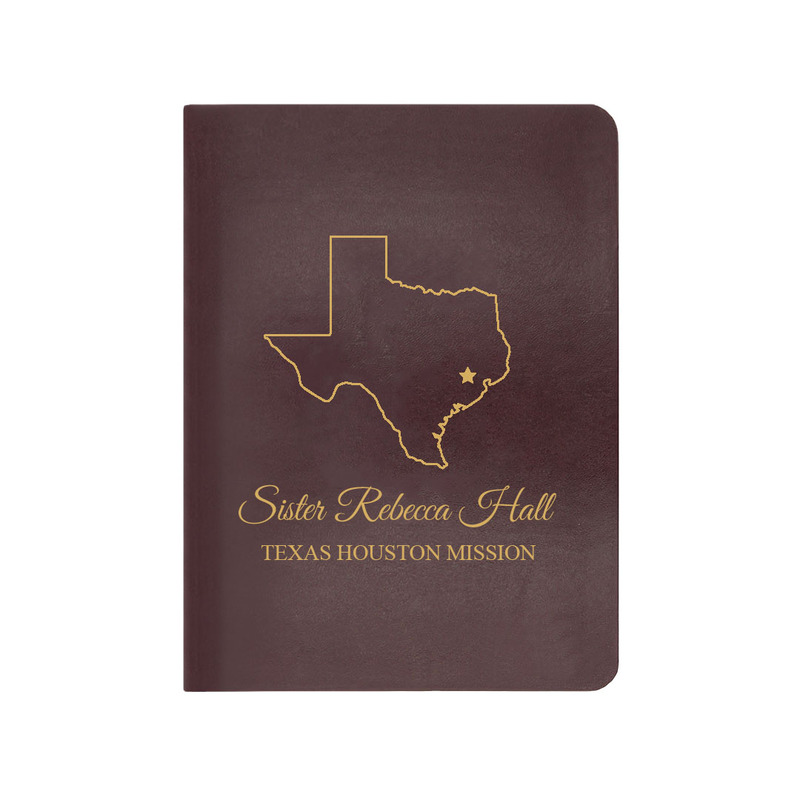 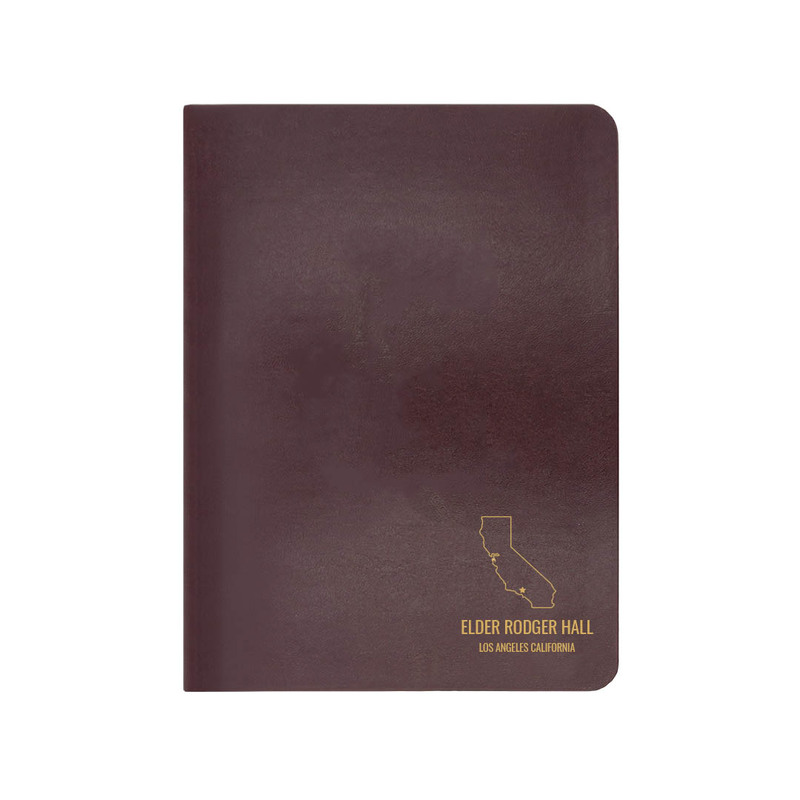 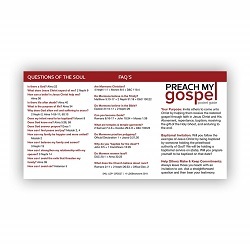 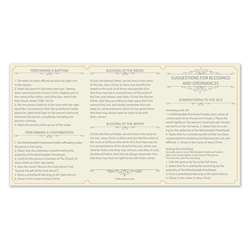 Celebrate a mission with our personalized missionary scriptures. 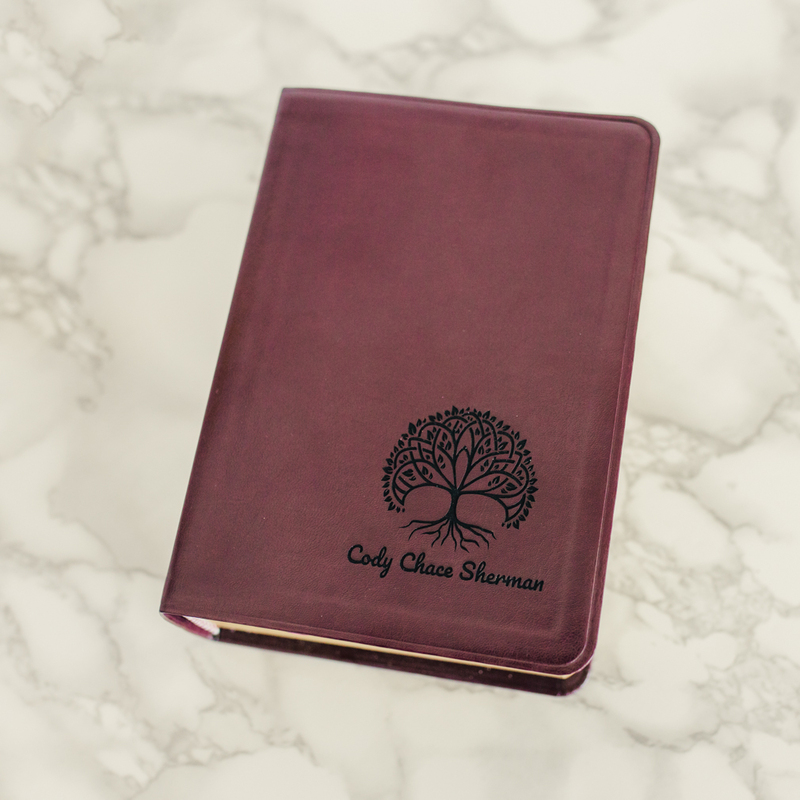 Featuring multiple options, you can create a one-of-a-kind keepsake you or your missionary will cherish forever. 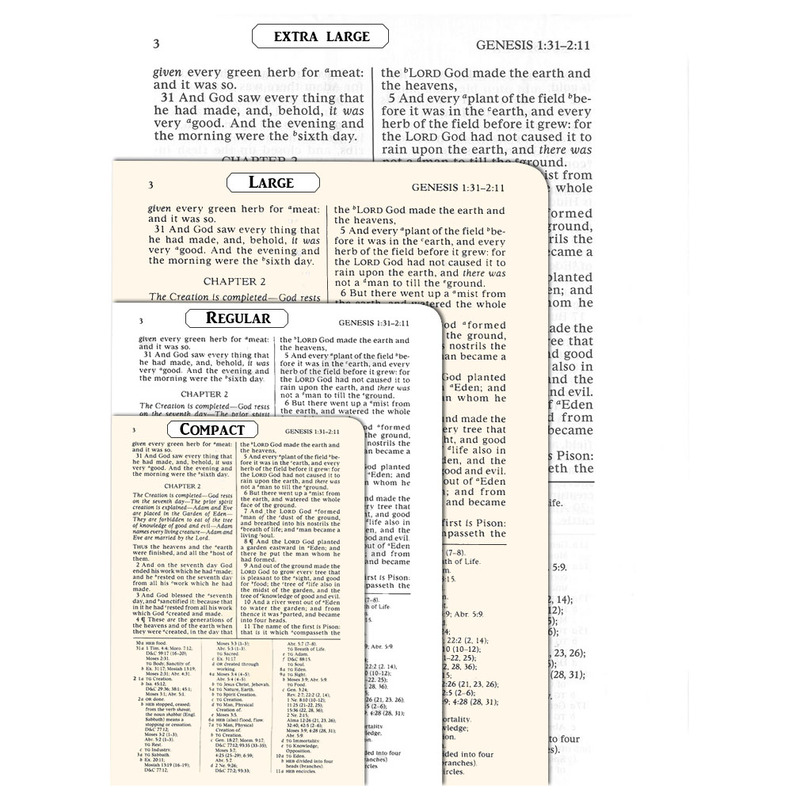 Our standard design features your mission state or country outline and one line of text in the bottom right corner of your scriptures. 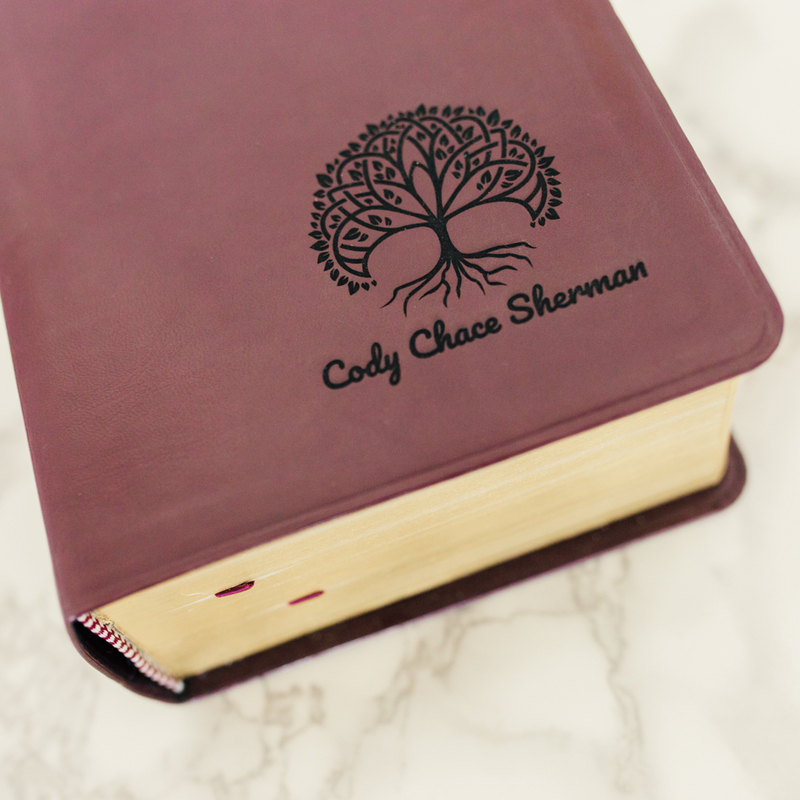 Keeping adding special lines of text, place the design in the center, and more. 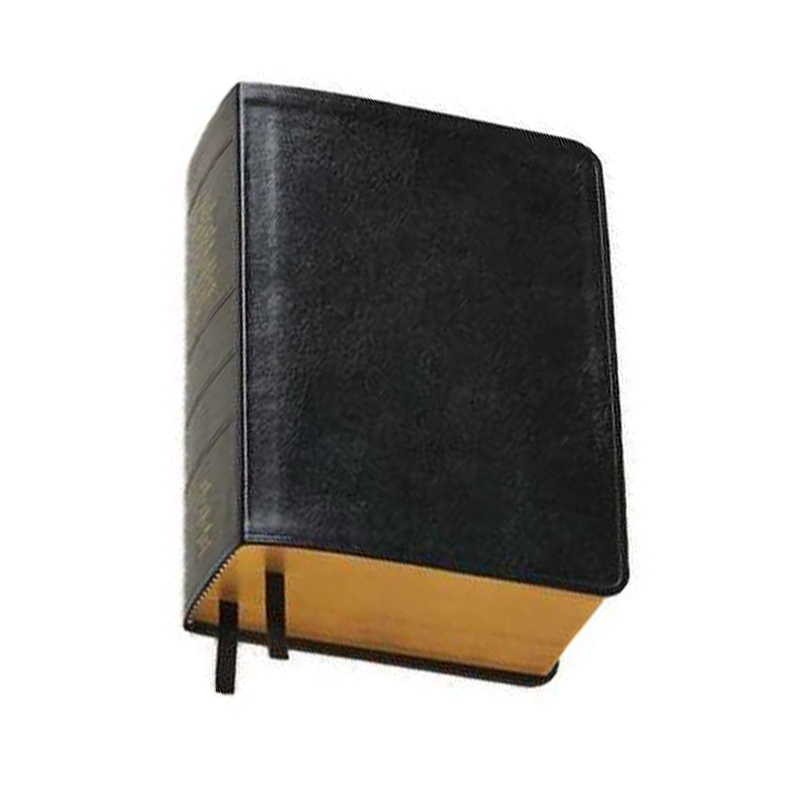 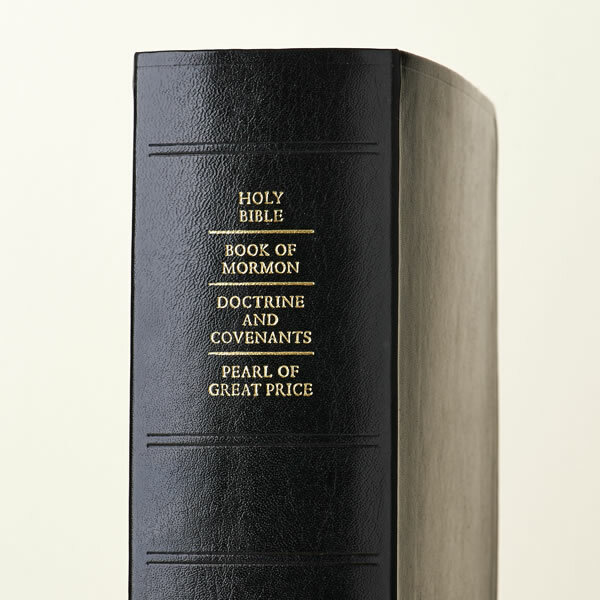 This quadruple combination includes the 2013 edition of the LDS King James Version Bible, Book of Mormon, Doctrine and Covenants, and the Pearl of Great Price bound in one book. 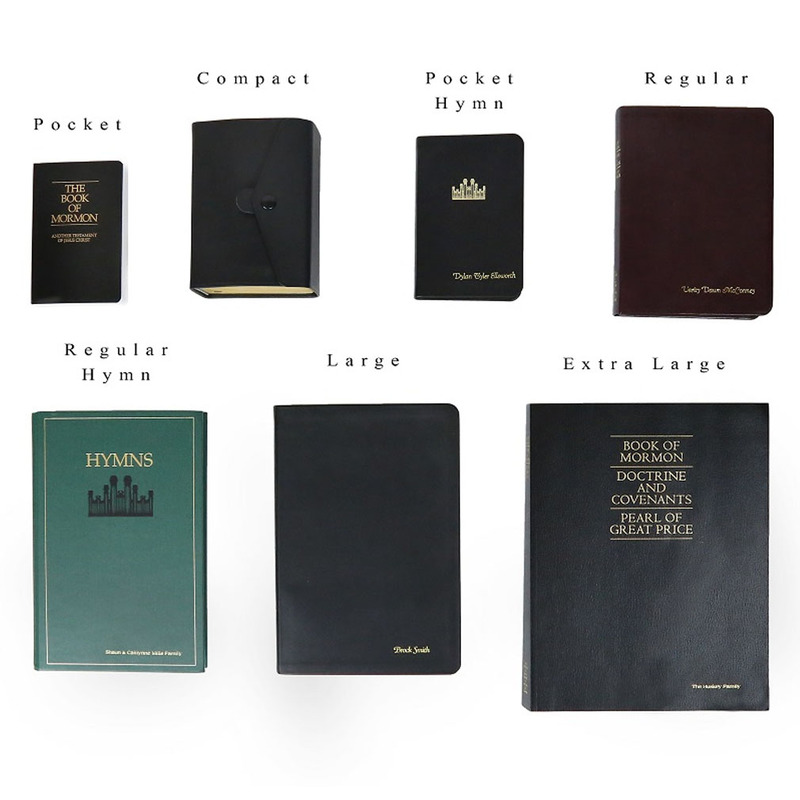 It contains cross-references to all the standard works, the Topical Guide, the Bible Dictionary, an index to the triple combination, two sections of maps and pictures, and footnote references to the Joseph Smith Translation. 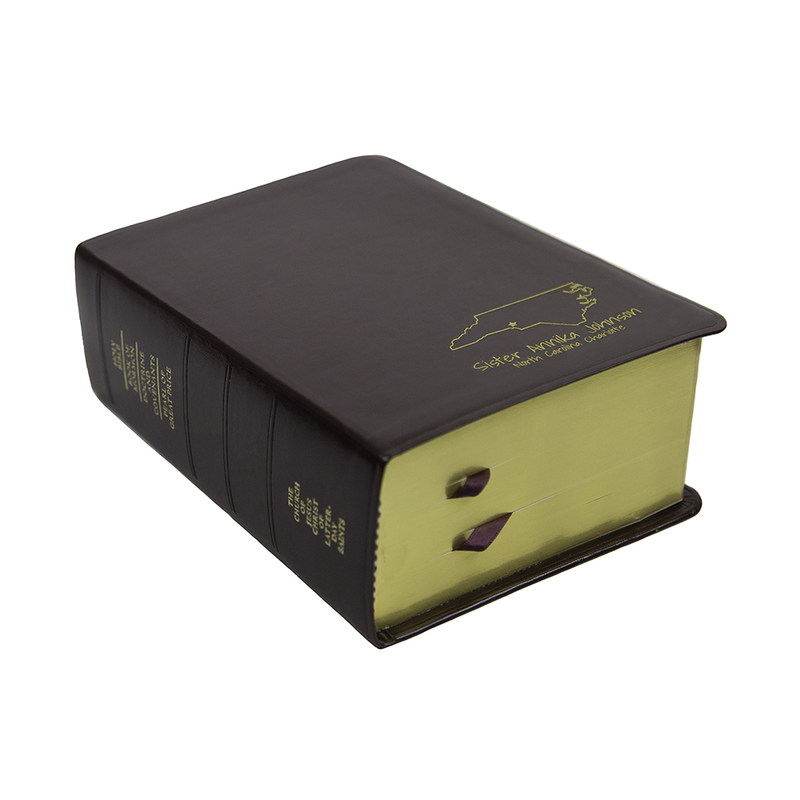 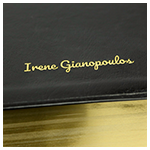 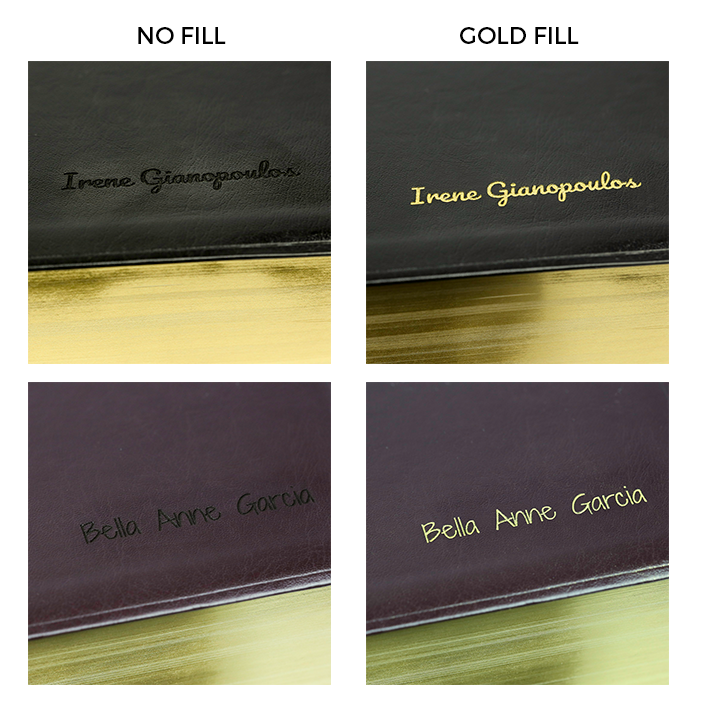 This quadruple combination is made with a simulated leather cover (reconstituted leather fibers), lightweight acid-free paper, gilded page edges and ribbon markers. 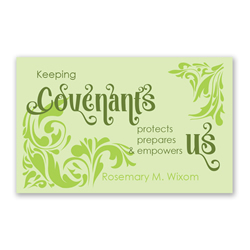 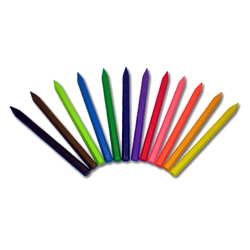 Size is approximately 5¼″ x 7¼. 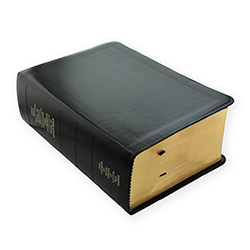 Good quality scriptures but the upgrades I requested were only half complete. 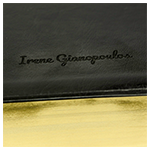 The lettering on the spine that was shown in the pictures online is gold and when I received it the lettering was just cut but not gilded. 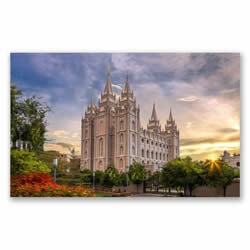 Too late as my son is entering the MTC tomorrow. A little disappointing.